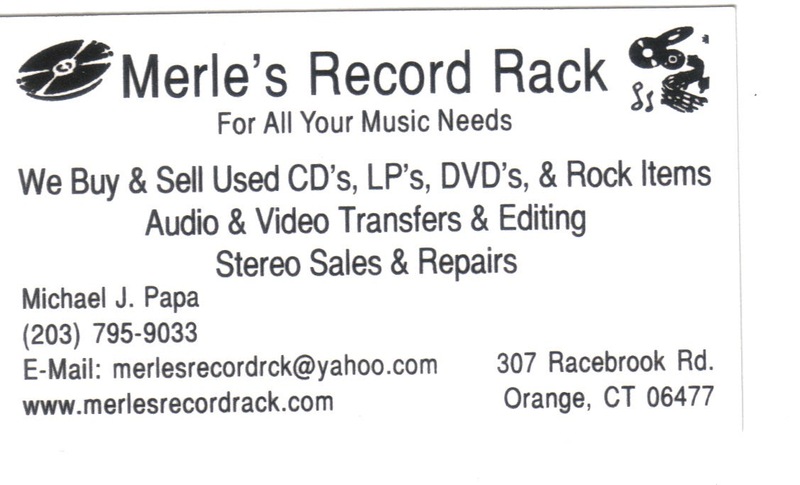 Vinyl Record Album Collecting in Chicago and the USA: Merle's Record Rack [Orange CT] - RECORD #700! 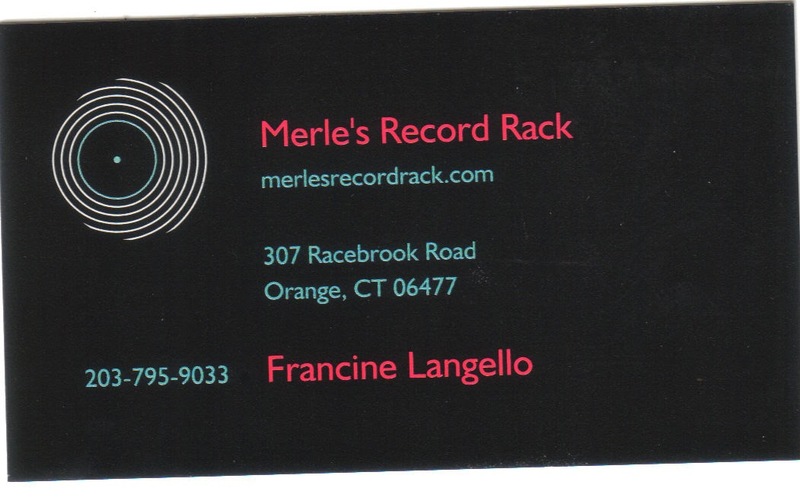 Merle's Record Rack [Orange CT] - RECORD #700! I spent the first part of my afternoon in New Haven looking for records in all the wrong places. Unlike my normal modus operandi, I visited the St. Raphael’s thrift store without calling first and struck out – no records. (They said that they did have some recently, but that ‘someone bought them’). So I took a look at the map and determined I’d have to take a cab out to Orange CT so I could do some shopping and perusing at a legit record store as there were zero thrift store options in the area. I got to Merle’s a short time later and got down to work. I slowly started to realize that the place was a bit cluttered and disorganized and the longer I stayed the worse I realized the situation was. I got my usual anxiety attack from being outside of my normal, comforting thrift store environment….I headed over to jazz and found something I wanted for awhile almost instantly. Keeping in step with the mess that this place was, it was categorized under ‘B’, presumably for the featured artist (should have been under ‘W’). So I wandered around with that for a while and tried to find the Tom Jones, in search of the handful of mono releases I still need. I couldn’t find anything, which is ridiculous for any place that has records. So I did as the clerk (owner?) for help and he brought me a stack, which was unfortunately largely post-Parrot and held nothing I needed. I asked for polka and he replied with ‘you mean like Happy Louie and Jimmy Sturr?’ and I got really excited! He led me from place to place around the room, always a random box and not part of any legitimate rack, none of which held any polka from any artist, much less then two he named. I ended up looking through the 7” stuff and passed on a picture sleeve that wasn’t even in a box, it was laying there, just for me…I let it go. Major remorse on this one. I noticed earlier that my record did not have a price on it. Wasn’t sure how the clerk would want to play that but figured he would be fair. I was wrong – he charged me $12 for it! It had no inner sleeve and he did go out of his way to mention that he would grab me one. He did, but it’s for a Chrysalis album. I’ll have to check my Huey Lewis albums and see if I can sub one there (it’s in mint condition). [note: none of the four HL&N albums I had needed a sleeve – they all already had company sleeves! Two had the horrible plastic Chrysalis sleeves. So I checked my two Robin Trower albums (the only other Chrysalis albums I think I have, without checking. One of them needed it]. $12 was not fair market price by any mean, though the vinyl looks really clean, the jacket is a little beat. The lower corner has a weird imprint in it, like perhaps some kind of promo stamp, without actually cutting the jacket. Never seen that before. Looks like there is also an alternate cover/title for this one, perhaps clever Creed had thoughts of both exploiting the infamous movie AND distancing himself from it at the same time…pretty slick! This gives me 5 records between 1963-1965 for Kai on Verve, still have a couple more I’d grab if I come across them. Funny that this all started with ‘Rainy Day’. These are the last Verve albums he did (I count 11) before he made the move to CTI, still need one of the alternate cover template 3000 series, I’ll get it one day. Unfortunately, I beat it up a little bit by cramming it in my bag for the couple days until I got home. The corners of the jacket got a bit warped, I need to start bringing a cardboard mailer with me on my trips, not to mail with, but just to use as a ‘brace’ for the vinyl so it doesn’t get so beat. The seams are so old on here that they started to crack under the pressure (or maybe they already were). Tonight it will finally get home, get it’s inner sleeve swapped and put in plastic and onto the shelf. Whew! This is also record #700 which is worthy of some kind of celebration. #600 wasn't long ago. I wasn't offered a receipt and I forgot to ask for one and I'm pretty mad about that. When you achieve these milestones so slowly it kind of diminishes their value. I don’t collect for pure quantity anyway, I don’t suppose anyone does (at least not openly) and I know I’ve culled quite a few in the past year or two as well which brought the numbers down a bit. 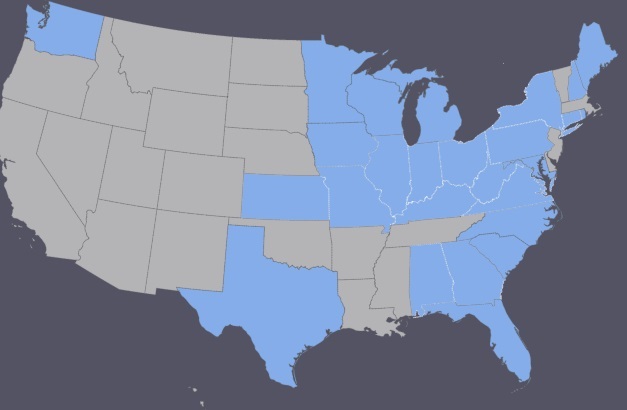 Still, New Haven (or Orange, sorry) was a really cool place to get #700, even in this messy old place. Nothing like eating some leftover world class pizza and staring at your new vinyl as you crank a few beers in your hotel room.